We remember the gospel. We understand that “none is righteous, no, not one” (Rom. 3:10). All have sinned and are declared righteous by God’s grace, through the redemption that is in Christ Jesus (Rom. 3:23). We are outcasts that have been gathered for the wedding feast. We have even been given wedding garments. On our own, all of us, would be cast out on our own. Yet, through Christ, we are all welcomed and receive robes of righteousness. The loving and reaching grace of our humble and exalted Lord creates Kingdom communities that transform. The church is a gathering of the redeemed. We are made holy. We were not innately holy. The church is a place where those who know they are sick come to the Great Physician (cf. Lk. 5:31). The church is a monopoly of outcasts. It is filled with struggling ex-thieves, ex-drunkards, ex-adulterers, and ex-revilers (cf. 1 Cor. 6:9-11). We are humble and honest and yet our identities are not sinner but saint! Those loved of God and being transformed. The church is filled with all sorts of people with all sorts of problems. So, we’re not prideful about our problems and prudish about the problems of others. We love people where they are and help them to the good of God’s design. America has been postmodern and now we’re told America is post-Christian. But it’s not surprising. And it’s actually okay because this is not our home. We are “exiles” (1 Pet. 1:1, 17) and so we shouldn’t expect to have a nice cushy Christian majority (not that a Christian majority is wrong). We function, as the early church functioned, from the margins, not from the center. We are called to live our lives “constructively embedded within society while not being enslaved to all of its norms and ideals,” as Lee Beach has said. We realize that we can’t make America the Promised Land because it’s not the Promised Land. “For here we have no lasting city, but we seek the city that is to come” (Heb. 13:14). “Our citizenship is in heaven” (Phil. 3:20). We are outsiders. We are sojourners. And we as the church offer the world an alternative from the brokenness of sin. The church, though frail, is God’s appointed means by which God transforms people. As exiles, we know we have been given a job while we sojourn here. So, we take seriously the call to make disciples by intentionally going to our communities with the gospel. And we don’t expect the community to come to us, we realize that we are sent as the Son was sent (cf. Jn. 17:18). Christians are not against the world, but we are different than the world, and lights in the world. Christians are called to do good in the world (Jer. 29:7), acting as salt and light in a decaying, darkening place (Matt. 5:13-16). 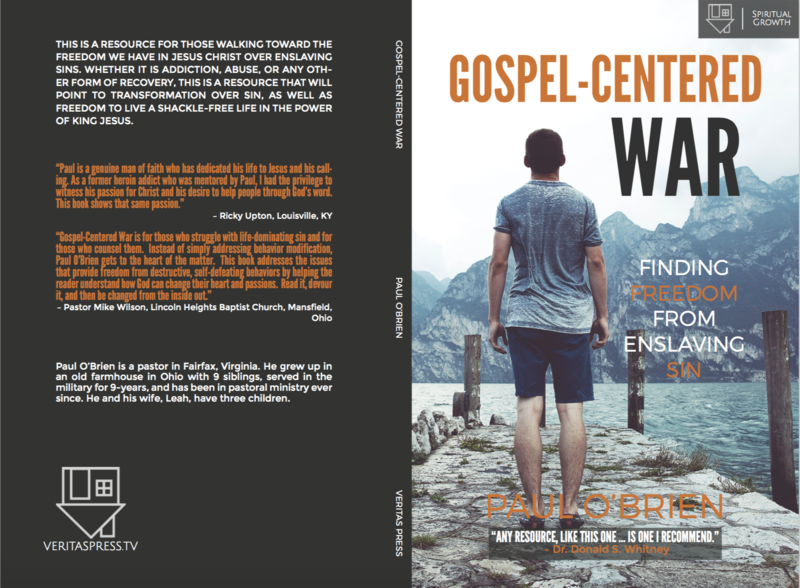 We are broken sinners—yet saints!—helping other broken sinners. We are disciples on a mission. We are fiercely motivated. As missionaries to our neighborhoods, we are affected and motivated by the missionary love of God. We are not merely commanded but personally constrained to share the good news of Jesus, because it is good news. We have no sectarian goals as Christians. Our goal is to love God and love people in tangible ways. So, we seek to be envoys of blessing in our communities. We want to employ our unique abilities to our prosper our surroundings. It is our prayer that we, as the church, would be more and more laid low by the profound reaching grace of God. God pulled us out of the slew of our sin. He pulled us out of death. We were helpless, lifeless. He saved us. May we understand and be humbled by Jesus’ saving work on our behalf and may we reach out as He did; in selfless humble love. We are not better or more righteous than others. We are saved. Saved by grace.